Emily A. McNee | Littler Mendelson P.C. 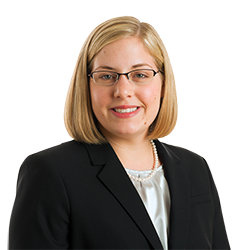 Emily A. McNee represents clients in a variety of labor and employment law matters. Prior to joining Littler, Emily was a judicial law clerk to the Hon. Louise Dovre Bjorkman at the Minnesota Court of Appeals. During law school, Emily worked for an employment litigation firm on discrimination and harassment matters, interned in the civil rights division of the U. S. Attorney’s Office for the District of Minnesota, and was a judicial extern for the Hon. Ann D. Montgomery of the U. S. District Court for the District of Minnesota. In addition, she was a managing editor of the Minnesota Law Review and a legal writing instructor.